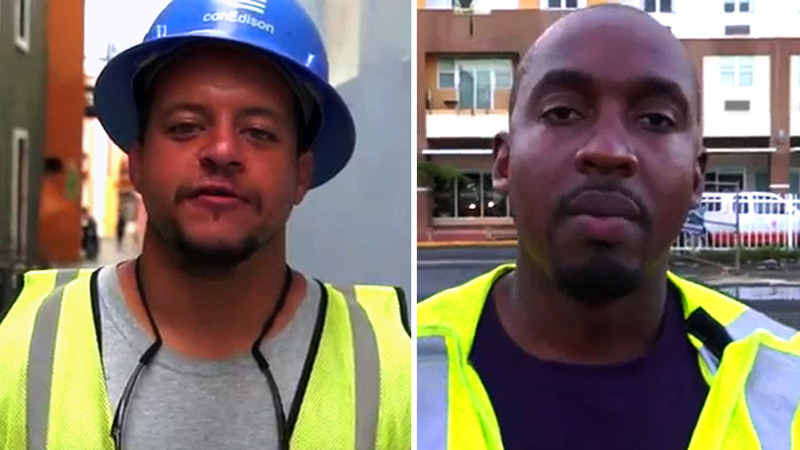 SAN JUAN, Puerto Rico (WABC) -- Electric utility workers from the New York City area have sent back Thanksgiving greetings from Puerto Rico, where they're working to help restore power on the island following Hurricane Maria. The employees work for Con Edison and Orange and Rockland Utilities, and are set to be there until December. Others will take their place in the next wave. Eighteen of the workers sent back their holiday wishes to friends and family. Happy Thanksgiving to these workers and their families!